For this project, I was required to add dynamic features that are possible only through jQuery and a JSON API to my previous Rails app, Socratic. After working through the requirements, I had some class-specific logic that was cluttering my JS files AKA spaghetti code. To clean things up, I moved this logic into the class files by using static methods. According to MDN, static method calls are made directly on the class and are not callable on instances of the class. Static methods are often used to create utility functions. 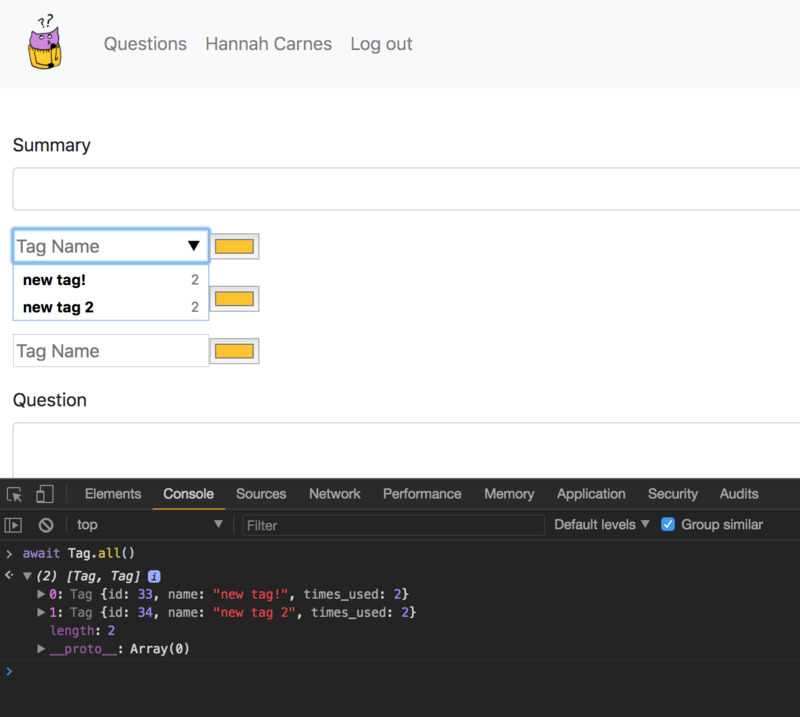 If you drop into the console and type in await Tag.all(), you will see the method returns all of the instances of Tag. In the questions.js file, we can see how we are able to utilize the static method all() to update the full list of tags for the user. The full list of project requirements are listed here.